In a family there are 8 persons P, Q, R, S, T, U, V, W sitting around a circular table facing the centre. There are 2 couples in a family. No couple is sitting together. S is the son of T and sitting opposite of his father. S is sitting between P and his sister. U is sitting second to the left of V. U is the husband of T. Q, the father of P, is sitting opposite to P. V is the grandmother of W. R is sitting third to the right of T. R is the brother of V and brother in law of Q.
Q.1 How is V related to S? Q.2 What is the position of W regarding to V? Q.3 How many male members in the family? Q.4 Who among the following is one of the couples? 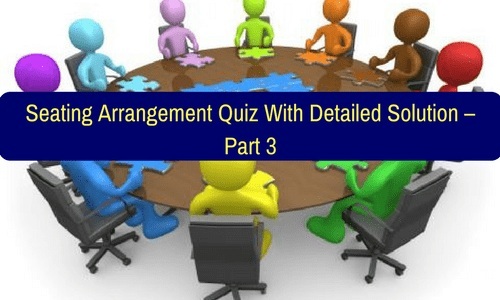 Q.5 If all the persons are made to sit in alphabetical order in clockwise direction, starting from P, the position of how many (excluding P) will remain unchanged as compared to their original sitting position?